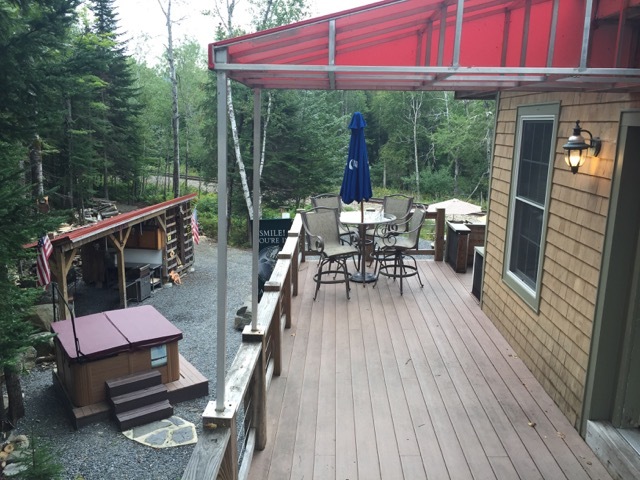 Tucked away deep in the Western Maine Mountains, Moose Lodge is the perfect place to escape from it all. But this isn’t your ordinary cabin in the woods. Moose Lodge offers luxury accommodations at an extremely affordable price. Moose Lodge caters to avid thrill seekers, weekend warriors, or those who simply want to get away from it all. Part of the Maine trail system, Moose Lodge is a prime destination for snowmobiling, ATVing, whitewater rafting, hunting and so much more. Not to mention the serene tranquility of Mother Nature that surrounds us. 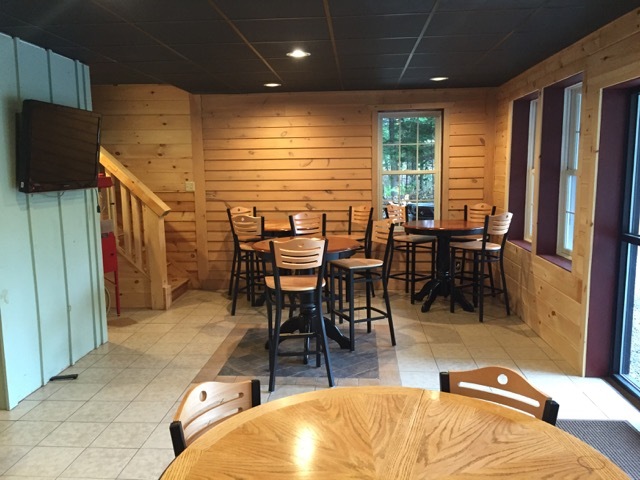 Moose Lodge is fully LEED-certified and extremely energy efficient. We use state of the art building techniques and appliances throughout to ensure we leave no footprint in the beautiful town of Jackman. Also known as the Jewel of Jackman, Moose Lodge is a craftsman-style chalet that seamlessly combines adventure and luxury into one great location. Built with groups in mind and filled with modern amenities, there’s something for everyone. Indoors you’ll enjoy the handcrafted architecture, comfortably furnished rooms, and two full kitchens. Its four generously-sized guest bedrooms and a third-floor loft easily accommodate large numbers. Set up a party or finish the night in our spacious living rooms. It’s a great place to get the day started and to come back and warm up. Outdoors you’ll find an outdoor kitchen and a wood-fire pizza oven. Did we mention the hot tub? Good for a relaxing dip or a romantic evening. There’s also a host of activities at your disposal from snowmobiling to fly fishing. We encourage our guests to get out there and enjoy the majestic spirit of Jackman. Unlike other mountain resorts, there’s no schedule to keep and no itinerary besides the one you bring with you. 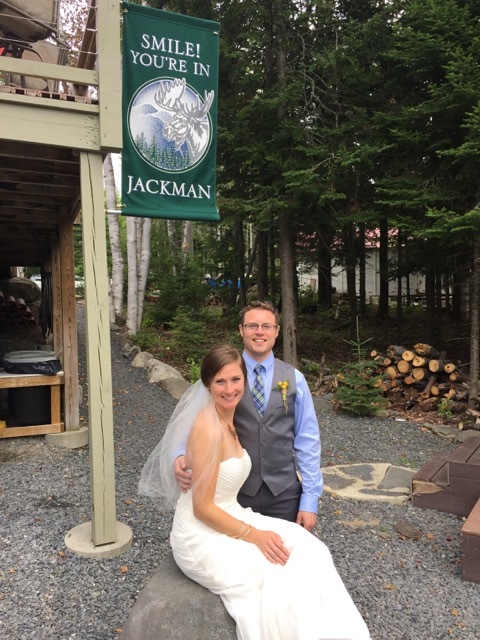 Also known as the Switzerland of Maine, Jackman is hidden deep in the Moose River Valley. A vibrant 360˚ post card at every turn with scenic lakes and tall picturesque mountain peeks, there’s little not to love about this small town. And for the thrill seekers, Jackman is the Hub of the trail system for snowmobiles, ATVs, and UTVs. Just 16 miles from the Canadian border, there are literally thousands of miles of trails for you to explore. And for the extreme adventure seekers out there, you can take a shot at the top of Bald Mountain where the head drifts sometime reach eighteen feet high. The Jackman area offers an extensive, well-groomed and maintained trail system that you can access right from Moose Lodge. Whitewater rafting is great fun for people of all ages and athletic abilities. 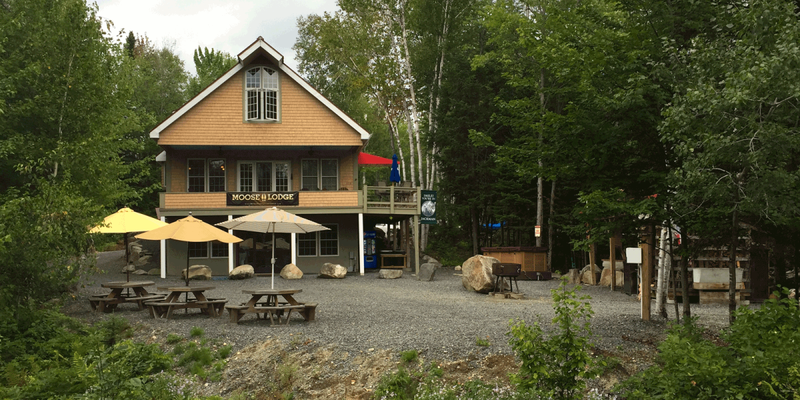 If you are looking for a family adventure, Moose Lodge is nestled in the heart of the best whitewater rafting in Maine. This is one of the most favorite “sports” in our region. Visitors frequently go out to the most popular moose areas and sit for hours hoping to see this magnificent creature. Although you may see one any time of the year, May, June, July, September and October are the prime months for moose activity. If you are a lucky lottery winner, October is also Moose hunt week in our region. We are named Moose Lodge for a reason! Place is perfect for us Flatlanders, Love It! Loved the instant ATV access. I want to move in.. If you are looking for a place that can hold 4 couples comfortably, this is the place for you. The bedrooms are good size with a tv in each room. The sitting area is ample with more on the lower lever including a 2nd kitchen. This is where we did all of our cooking. The outdoor firepit and wood pizza oven is amazing. Plenty of parking for our trucks and snowmobile trailers. You can snowmobile right from the house and connect to some of the best trails in Maine. Simple the best place I have been able to find in the area that can accomodate my large snowmobile party. Can’t wait to go back. We would definitely recommend Moose Lodge to all our family and friends. Stayed at the lodge for the Jackman Sled Dog Races. It certainly is the Jewel of Jackman! The lodge is amazing. Our stay included three children and four adults and with the three levels it was very quiet. Could not hear any noise from one level to another. Accommodations and amenities were accurate and outstanding. Property is very well maintained, excellent customer service. I would highly recommend this lodge to anyone. We had a fabulous stay and cannot say enough about the lodge. You have to see it to believe it.. 5+ rating stars. What a wonderful place in the north woods,the Moose Lodge is everything it says it is and more. We arrived Friday to excellent trail conditions that got better as our stay went on with nightly snows freshening the trails. 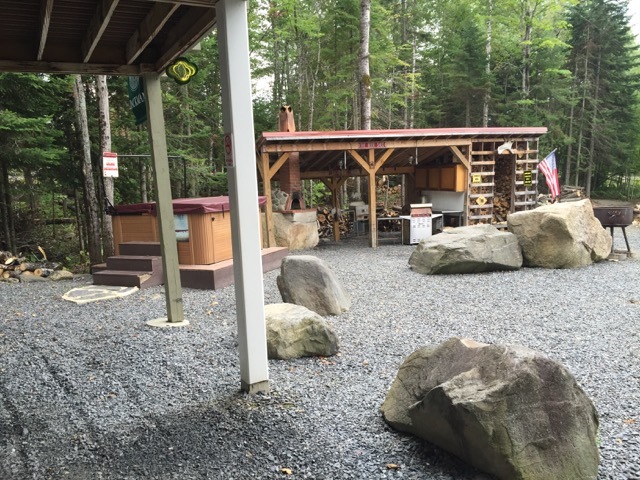 The lodge has everything anyone could want or need and usually in multiples,the outdoor amenities are as nice as those found inside.We enjoyed the Black oven with a pizza night around the fire pit,which was convenient to the 12 person hot tub. One of the highlights was the frequent visits by the natives,they would bring the whole herd by multiple times to check on us to make sure we all where enjoying ourselves. I have already placed our request for next years stay. Great location, excellent accommodations. Clean , well maintained, all the comforts of home. Snowmobile from the driveway, close to gas and the main ITS trails. Our time in Jackman was a wonderful and blessed experience. The accomodations were beautiful and plenty of room for our family and friends. The town folk and neighbors are very friendly and open. The neighbors shared their garden vegetables. The scenery is peaceful and spectacular, with only an occasional train passing. The ATV ride to Canada was a highlight and the owners of Jackman ATV rentals were very kind, generous and helpful. Wood Pond was a wonderful place to swim and kayak and enjoyed thoroughly by the kids and dogs. We are hopeful to visit Jackman and Moose Lodge again in the future. Maine is just beautiful all together and this destination was well worth the 12-hour journey. The only thing missing was an appearance by a moose…maybe next time. Extremely nice. Upper-end accommodations in a beautiful setting. Quiet and serene with deer visiting everyday. Loved it. Lots of room to park and keep the snowmobiles. .Great place. Would recommend to anyone. Summer is here to stay in Jackman! Book the stay of a lifetime today.